I am The Body Shop queen. Well… the self appointed The Body Shop queen. Back in the day I would come out with multiple TBS haul posts on this blog but we have now gotten to a point where I have pretty much tried and tested every single item and range from the brand. All jokes aside though, I am not joking. Out of the insane amount of brands I rave about on here, TBS is the one brand who I know my followers fell for as hard as I did all those years ago. I have got HUNDREDS of photos and screenshots on my phone from you guys purchasing my top picks. Most notably the brow brush, the Star Stamp liner (more for the liner than for the stamp side), the liquid lipstick in Windsor rose, the Honey Bronzer and the Himalayan Charcoal Mask. Also, to date, my post on the Drops of Light range is THE most read post on my blog. It even has a higher view count than my competition posts! Since this post I have two more items from this range. Please leave me a comment if you would like an update or a Part 2. Anyhoo. It has been a while since I splurged on a few goodies for myself from TBS. I was just in there the other day for my mom’s birthday presents. I took advantage of the 3-for-2 special and I knew I would be back after payday. And so I did! These are the items I picked up. They are a nice selection of old favourites and exciting newbies. Starting with the best item. This is an ABSOLUTE favourite of mine which I last chatted about in 2015. The Glow Boosting Microdermabrasion is honestly one of my favourite skincare items of all time and it completely fell off my radar once I chucked the empty tube in the bin. The original blog post was written at the beginning of my blogging journey so please ignore it for the most part. I just had to post it as 2018 Rayne loves it just as much as 2015 Rayne loved it! I have been dealing with horrid skin over the last few months. In fact, my skin now is considerably worse than it was three years ago. I found this Vit C scrub to make a major difference over just two days. I did however use it in conjunction with two other Body Shop products which I will get to shortly. Overall my skin really REALLY did look great just one day after using it. It was more glowy, more radiant and just overall healthier looking. I had been meaning to pick up the make-up sponge for YEARS so I am so chuffed to have finally done so. At the time of writing this post I have only used this once. That being said I used it for concealer and baking my powder and it worked beautifully. Also the price point is brilliant. So if this lasts for a couple months I will be mucho impressed. Yes, the sponge is in this picture.. it is just camouflaging in amongst my Body Shop masks. These are the two items I referred to above regarding using them in conjunction with the microdermabrasion. 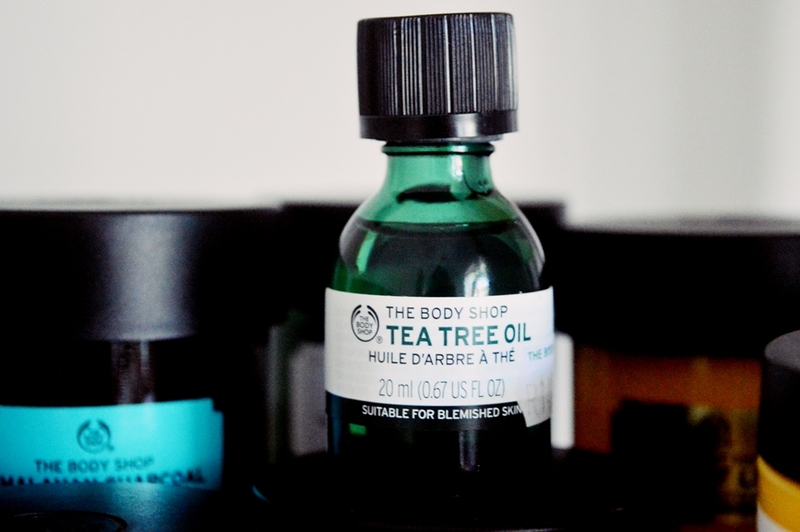 I had never done an at-home steam before and I picked up the Tea Tree Oil for this purpose. They also have a smaller bottle size for R110. It worked PHENOMENALLY well. Seriously, this may be TMI but I had a super nasty breakout. One of the worst I have had this year which consisted of congestion as well as angry red whiteheads. There were also a few headless pimples. What a fabulous time! Anyway, the conjunction of the scrub, the at home stream and the Target Gel (also from the Tea Tree range) saw my white heads disappearing overnight. You read that correctly… Overnight the pimples went from congested and irritated and ugly to basically little red marks. A miracle, I tell you. The Targeted Gel is amazing but I am not a huge fan of the doe applicator in the tube. It is not hygienic. So instead I dab the gel onto a finger and apply it with my finger. 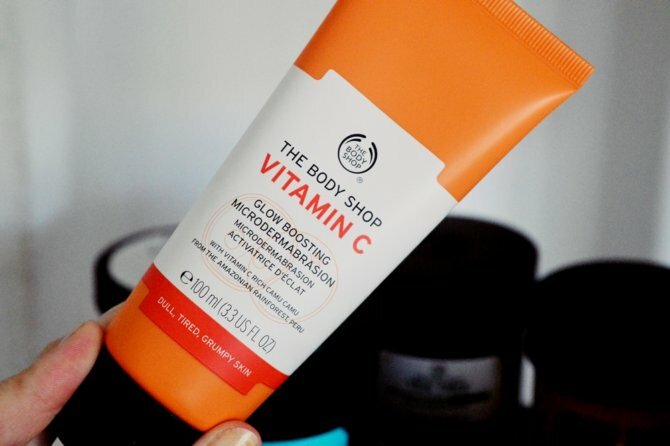 This is a new-ish product to The Body Shop and there are quite a few variants to choose from. 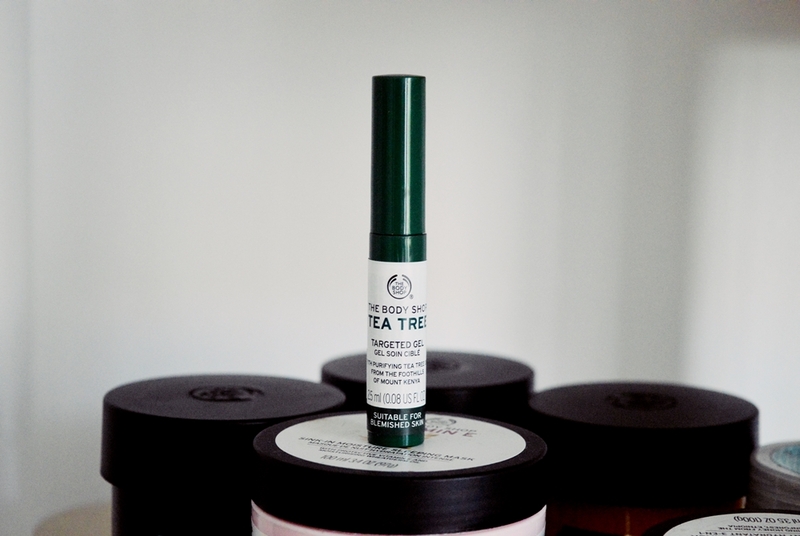 I opted for Rose as it is said to illuminate and hydrate the face even through a layer of make-up. I am yet to play with this so I will let you know my thoughts once I have delved into it. This is my FOURTH little bottle of the majestic little scent this year. 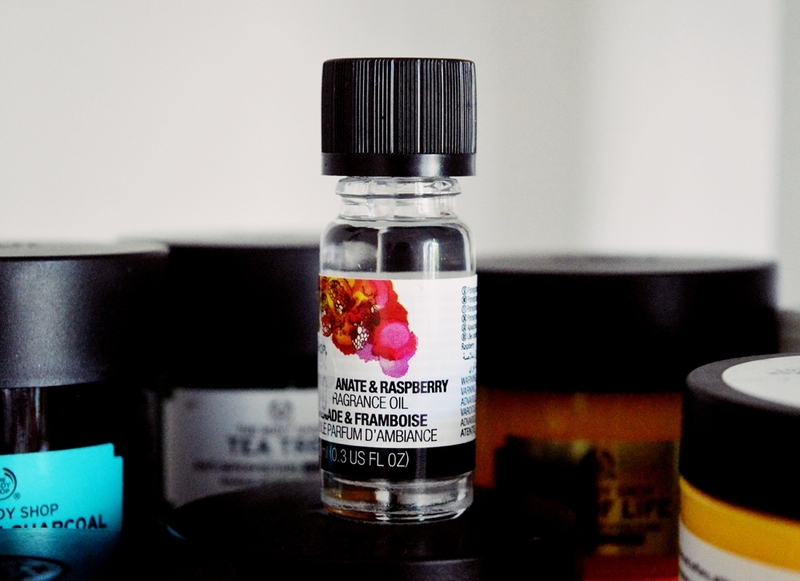 It is also probably my tenth bottle of fragrance oil from TBS! I have a MAJOR candle obsession but I only really discovered the amazing-ness of fragrance oil earlier this year. They last longer, the scents are more intense and they are MUCH nicer on your pocket! 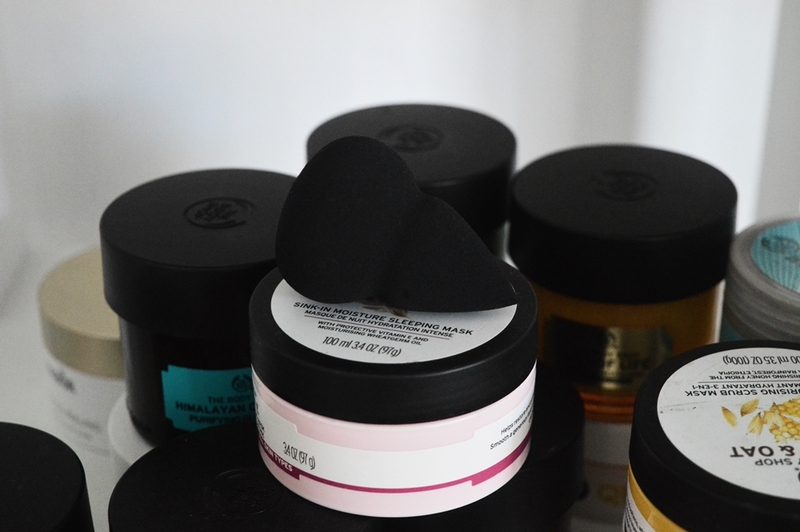 What did you think of my latest haul from The Body Shop? Have you taken advantage of their 3-for-2 special recently? AND keep posted as next week I will have a full review post on the brand new Limited Edition Christmas range! 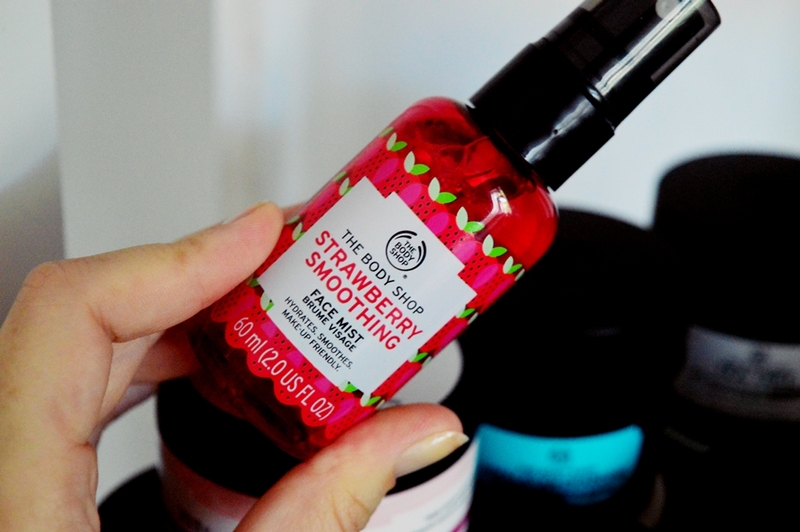 You are honestly the best ambassador for the Body Shop, I have SO MANY products because of you. A new look for GOSH COSMETICS!